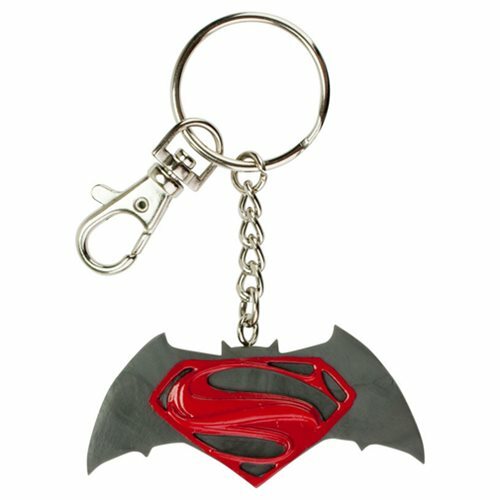 Shopping for Batman v Superman: Dawn of Justice Key Chains? A fun twist on the classic key chain, it's the Batman v Superman: Dawn of Justice Logo Bendable Key Chain! Featuring the iconic bat logo with a red "S" from the film Batman vs. Superman: Dawn of Justice, the bendable part of the key chain measures about 2 3/4-inches long. The Batman v Superman: Dawn of Justice Logo Bendable Key Chain makes a great, easy gift for any superhero or DC Comics fan! Ages 4 and up.